First and foremost, software developing is one of the fastest growing careers today, with a strong outlook in the future. What that means is if you are a coder with extensive knowledge, there’s an amazing opportunity for you to make more income teaching other people how to code. Sadly, most coders looking to start a business take a riskier route. They create physical products, hold inventory, and sign leases in the hopes people will show up or buy their products. Unfortunately, many of them fail. But there’s a better and more proven way. That’s by joining the Knowledge Commerce revolution. And coding has already proven to be a perfect fit for digital products and courses. 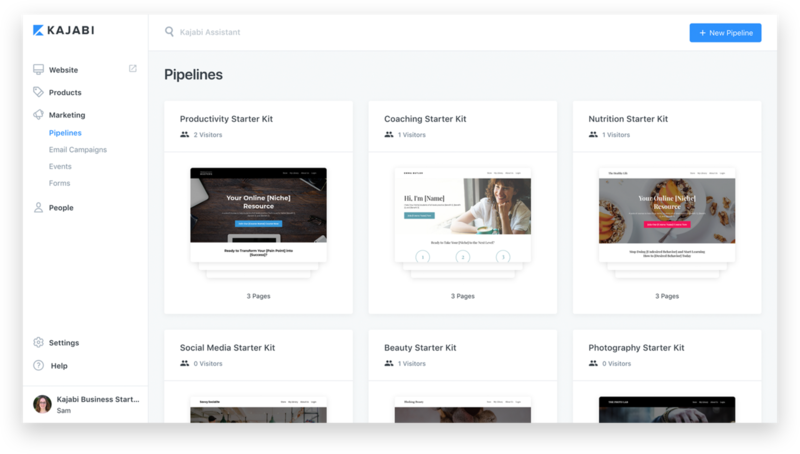 Unlike the capital associated with products or studios, those looking to teach online can get started with low upfront costs. The key to selling coding courses is to create a program with step-by-step lessons that will lead your students to their desired goal. For example, you could create a program for beginners that walks them through how to code a simple webpage with just HTML. Even if you don’t consider yourself a coder with tons of experience, you could curate information online in one easy-to-access place, or enlist the aid of an expert who can teach. Once you’ve designed a program, you’ll then turn it into a digital product. This is the easiest part! The first step is to identify one common problem your potential audience has that you can solve. For example, HTML Basics for Beginners. After that, you’d map the steps that would take your audience from “pain” to “paradise,” aka the final result. Coding products come in all kinds of styles and curricula, but for the best one to get started with and to build momentum for your budding online business, consider creating a simple course. You could have videos, quizzes, and discussions to raise the interactivity of your product. You could even offer supplemental content like downloadable resources. The price for coding products can vary greatly depending on the length of the course, the quality of the content, and any other material you decide to include. A typical coding course can cost anywhere between $97 and $197. As long as the student can see the transformation benefits they would gain if they took your course, then there’s almost no limit to what they would pay. Coding courses are very valuable because the average salary of a coder is very high, and taking your course would open up viable, lucrative careers. If you’re uncomfortable with charging high prices for your course, you could offer a subscription model where students would pay lower monthly payments over a long period to gain access. One popular yet easy-to-implement monetization tactic many in the coding niche use is offering private coaching as an upsell. If someone buys your product, you could offer them one-on-one coaching to really help them out. They are inherently valuable because they take up your personal time and it’s very specific to their issues. Plus, with Kajabi, utilizing upsells is as easy as a click of a button. There are plenty of Knowledge Commerce entrepreneurs who are making six-figure incomes or more off just one to two courses! Before you begin to market your products, you’ll want to figure out who your ideal target audience is. Are you selling coding courses for beginners? For experienced coders who want to advance or learn a new language? For business owners who just want to learn basic web coding? If you go specific, you’ll better match your market’s pain points, and that’s going to make it so much easier for you to sell your product. Knowing your audience will not only shape your marketing, it will help out your product creation as well. For example, let’s say your target audience is busy entrepreneurs who want to learn some basic web coding on the side. One idea would be to market your product as something that can be consumed at any time on any device, and speaks to their status as busy entrepreneurs… that type of marketing would speak to their needs more than any general coding course could. But regardless of who you’re targeting, you’ll want to help your prospect visualize the betterment they would have if they purchased your course. After you choose your ideal customer, you’ll want to find out where they spend most of their time online. Many coding experts have grown their course sales via Facebook ads because Facebook allows you to specifically target and look for people who would fit your niche. And if someone visits your site but decides not to purchase right away, you can use Facebook or Adwords pixel to retarget them back to your offer. You should also focus on building an email list. That way you can build relationships with your prospects and convert them into customers. The good news is that you can use Kajabi’s built-in email capture tools to build your email list. The Business Starter Kit is designed to help you get your online business up and running fast, by providing you with a working business model specific to your niche. That means you’ll have a branded website and customized pages ready to go out of the box! 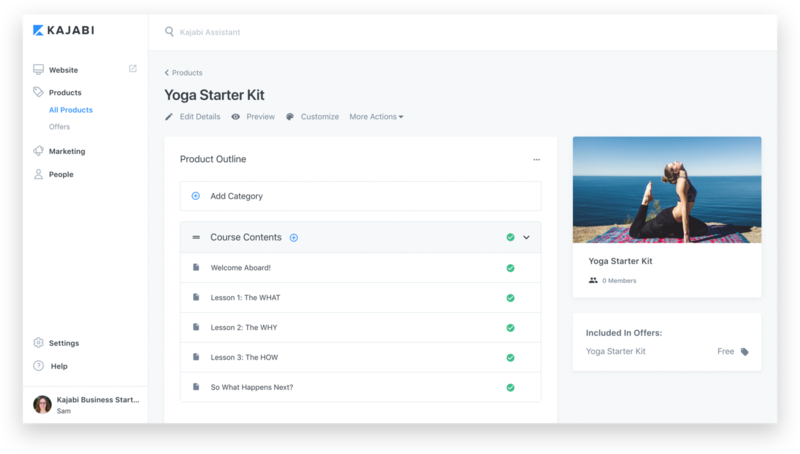 Each Starter Kit also comes with access to Kajabi, our bestselling platform that empowers anyone to run an online business teaching their expertise. Everything you need to launch your own business is here… you just need to focus on your content. All you have to do to start building out your own Coding brand is click the button below. You’ll get instant access to your specialized Business Starter Kit and the Kajabi platform. 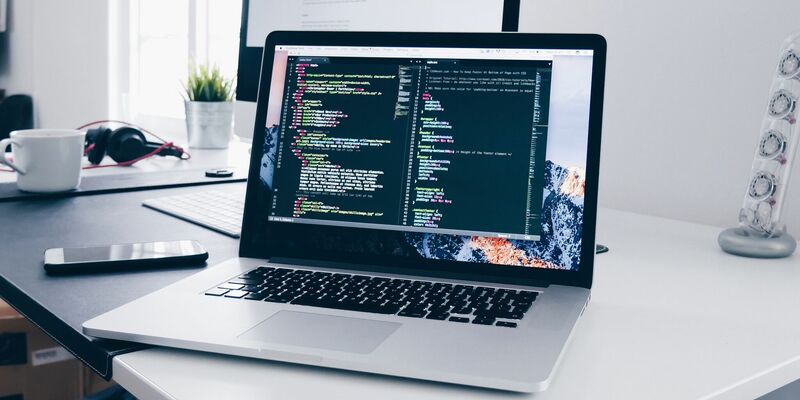 With all the tools you need at your disposal, you’ll be able to launch your online Coding business today, without having to deal with any complicated technology or any startup costs! Get The Coding Starter Kit!